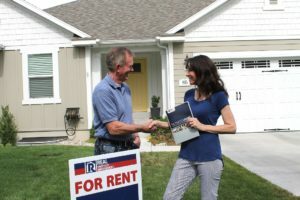 If you’ve considered beginning your journey of investing in rental property, or have already started down that path for your Apex, NC rental home then you may soon come to realize that there are a multitude of management tasks and repairs to handle daily. If you are planning to take care of the property management and repair jobs alone, you could find yourself in a circumstance where the tasks accumulate faster than you can respond to. If you have already found yourself in this position, or want to avoid this place, then you’re in luck. When you partner with Real Property Management Excellence you are letting our team of specialist navigate your property to success. Some of the most successful rental properties rely on the expert advice and managing of a property management team. This guarantees that management jobs are cared for in a timely fashion and to the satisfaction of the residents. Don’t let the tasks add up before you decide to begin work with us. Choose from the variety of solutions we provide to hand-craft the best property management strategy in the Apex, NC area. Managing a property can easily be a full-time job and one that you should not have to do. Investing in real estate is often done for the purposes of acquiring a secondary income or a means to save for retirement. When you work with Real Property Management Excellence, we take on the hard work to make your property a success. Let us handle the late-night phone calls, emergency repairs, holiday hours and tenant evictions. Oftentimes, it is better to let a professional service handle the less-than-pleasant sides of property management because if not handled properly the situation could escalate, and your properties credibility may suffer from it. Don’t wait until a situation like this has already happened and start working with us today. While you sit back and enjoy your extra income, we take care of the rest. If you are interested in having your Apex property managed by Real Property Management Excellence, have more questions, or would just like to speak to one of our team members, then contact us online or call us directly at 919-827-1107 today!